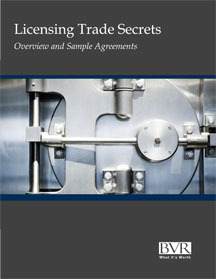 Trade secrets are an important consideration when licensing a technology. The addition of trade secrets to a patent license can increase the value of the license by three to ten times. Now there’s a comprehensive and authoritative source to help ensure that you receive the optimum value for your trade secrets. In Licensing Trade Secrets you’ll also find examples of actual license agreements that incorporate trade secrets. By reviewing these real-world documents, you’ll learn how other organization characterize and monetize their trade secrets and enhance the overall value of their technologies.